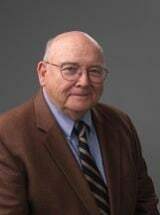 James Uriah Downs, sometimes known as Jud Downs (born September 15, 1941), is a retired senior resident superior court judge whose jurisdiction included five counties of District 30A in the 8th Judicial Division of western North Carolina. He was appointed to the court in 1983 by then Governor James B. Hunt. After his original appointment to the court, Judge Downs was elected to the bench four times without opposition. After Downs retired from the bench in 2013, he returned to the private practice of law. In the spring of 2014, he joined the law firm of Sigmon, Clark, Mackie, Hanvey, and Ferrell in Hickory in Catawba County. He also maintains an office in Franklin. His practice areas are eminent domain, wills, trusts, property disputes, and civil trial litigation.